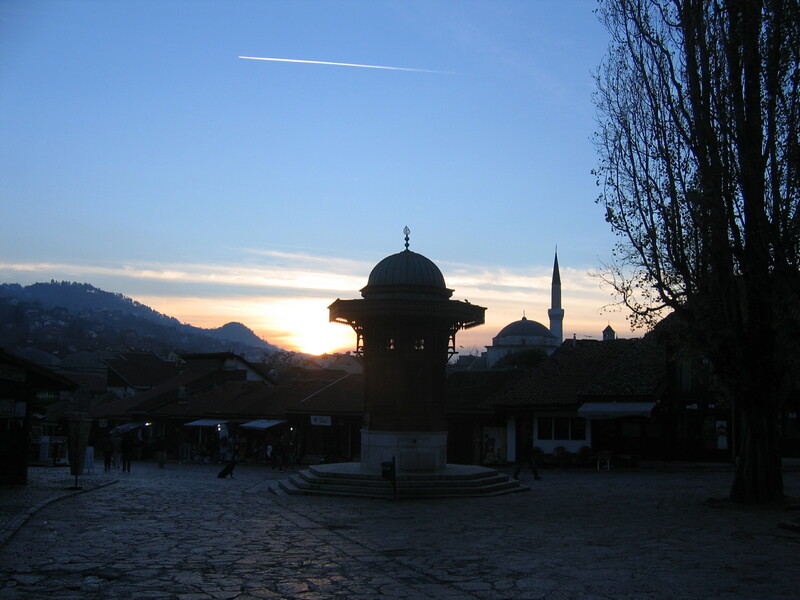 The siege of Sarajevo was contemporary with my four years in high school, 1992-96. Now, nearly fifteen years later, the city is in good shape and relations seem markedly better, but just as there are some signs of the previous destruction – a few buildings with bullet holes or shrapnel damage, some still gutted, an abandoned and burned out pickup truck, and a few Sarajevo Roses still to be seen – so too is there still some evidence of the ethnic and national tensions. The airport is small, with a relatively short runway surrounded by residential neighborhoods, in a valley that usually includes a turbulent and foggy approach. As if this is not enough, pilots must approach in radio silence, apparently because there are still pockets of resistance whom authorities fear would take advantage of an incoming jet, intercept voice communications and give incorrect information in order to cause a crash. Outside the capital city, there are still places where you can see nationalist expression, even while within Bosnia, for example, you can see neighborhoods divided by flying Croatian and Serbian flags respectively. The government is complicated. There are three (ethnic) constituent peoples in Bosnia and Herzegovina (BiH): the Bosniaks (mostly Muslim), Serbs (Orthodox) and Croats (Catholic). In the wake of the Dayton Accords which established the current peace (but did not set up a constitution or long term plan), the country of Bosnia and Herzegovina has a rotating national presidency of three people, one from each of the constituent peoples. The three presidents serve a four year term (elected) and rotate chairmanship of the presidency every eight months. The locals joked with us that if you walk down the street, nobody knows who the current president is, but they surely all know the UN High Representative (currently Austrian Valentin Inzko) who is responsible for overseeing the ongoing implementation of the Dayton Accords. Further, the country is divided into three political entities: The Federation of Bosnia and Herzegovina, Republika Srpska, and the small Federal District of Brčko which is formally part of both the other entities but governed by neither. Further, the Federation is subdivided into ten cantons; each has its own government. Finally, the regions of Bosnia and Herzegovina, respectively, are distinct but not defined – Herzegovina covering the southern part of the country, the eastern half in Republika Srpska and the western half in the Federation of Bosnia and Herzegovina. 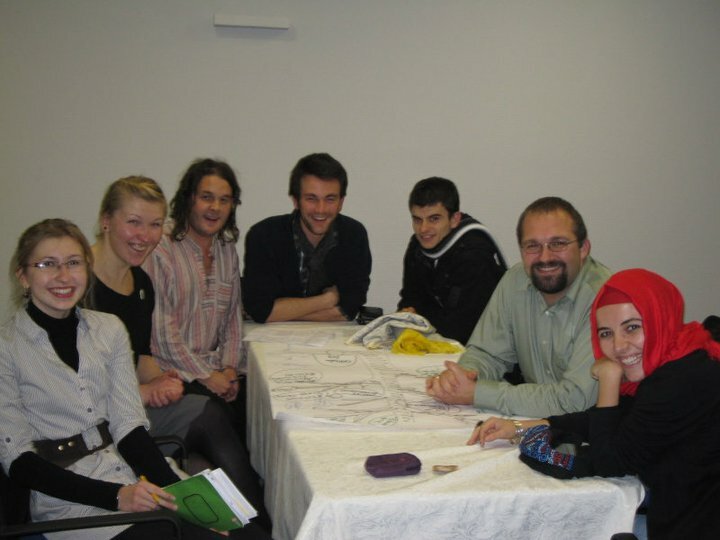 At one point during the week, we had an evening presentation on the country and its culture, given by our local hosts and members of the planning committee, three Bosnians in their twenties. They had deliberately decided not to present on the war. As part of the younger generation, only children at the time, there is an understandable interest in moving on and focusing on the good that has come since, and also to show that the war is not the only thing to know about the country. (Our friend from Northern Ireland voiced his understanding for this approach from his own experience of having been constantly asked about the troubles there). 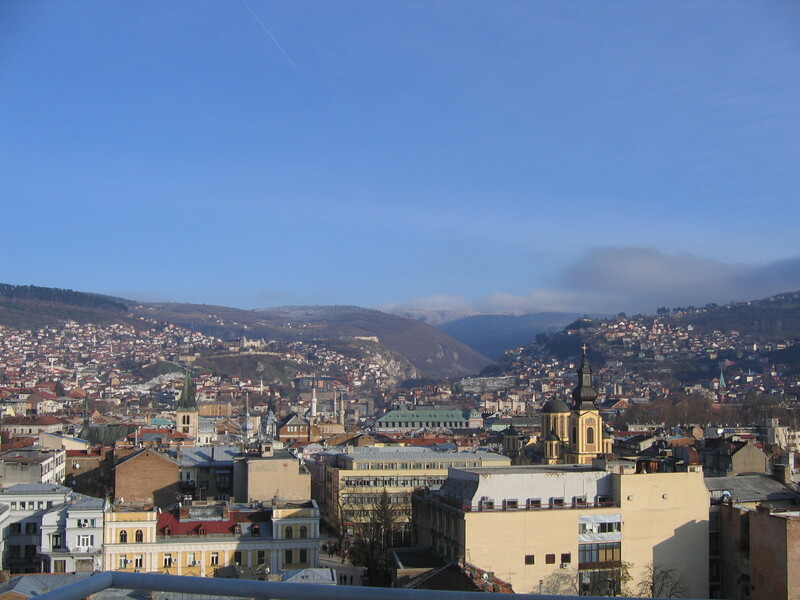 In part, the decision had been made because there had already been some tense side discussion about one of the more horrific aspects of the conflict, which was the Srebrenica massacre, which was ruled as genocide by the International Criminal Tribunal for Yugoslavia in 2004 and confirmed as such by the International Court of Justice in 2007. Other participants had been waiting for a discussion precisely on the topic, though, and the anxiety boiled over during discussion, when it seemed as though it might not be addressed at all during the week. It got very emotional. Had the planning committee overlooked including a discussion about the war, which would have been irresponsible, or were they trying to move on too quickly, which could appear as a false irenicism? 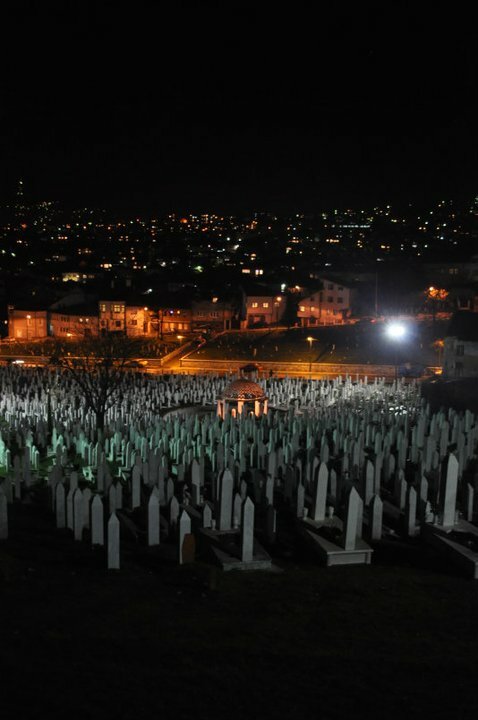 Was Srebrenica genocide as the ICJ declared, or is that a matter of opinion – with each of the three factions in BiH having its own take in addition to the “outsider” international judgment? Is even asking that question genocide denial? One of our participants pointedly asked whether killing 6 million Chinese would count as genocide, suggesting that several historians disagree with the ICJ determination (based on the idea that genocide cannot be confined to a locality, but must target an entire ethnic group or nation), while another held that even questioning the term genocide in this case was tantamount to denying the act itself. Someone else asked whether it mattered at all what we called it, massacre or genocide, war crime or atrocity, so many deliberate killings is wrong no matter the motivation. Others were voicing shock that this could happen on European soil so recently as to be in our lifetime, after the Shoah and “never again”, even while UN peacekeepers stood by and did nothing (or could do nothing). For that matter how could a siege have lasted for so long in the modern era without direct international intervention? I would not have wanted to be in the place of our presenters, a couple of young Bosnians in unprepared for the barrage of questions and not expert in the topic other than having lived here – but they handled it remarkably well. Some of the planning committee worried that the entire rest of the conference would be derailed by the topic, rather than focusing on the purpose that brought us together. I have rarely felt so inadequate for a discussion: I had not studied the war in depth, and am not an expert in genocide (its definition or its denial). I spent the rest of the night wandering from group to group, doing what I could just to listen to everyone, or to as many as I could. I was humbled, inspired, and moved in turn – at times I have felt that my work in dialogue can get too academic and we need to bridge the gap with the pastoral. Here, that was no problem, and my only wish was that I could have offered more. This is what interreligious dialogue is about. The group gelled well in the first part of the week. People were open and available for conversation and challenge. It was not planned this way, but the organizers and the next morning’s presenter responded well, addressing the concerns but bringing it into the context of our work, doing so first in thespirit of prayer and then in the greater question of fundamentalism and dialogue. I know not everyone was perfectly happy, some still felt as if their voice was not heard enough, or not enough attention was given to the subject of the war and the ongoing healing, but the larger sense seemed to be that at a moment which could have tipped the rest of the week into uncomfortable irrelevance, instead we were able to bring it back together and deal with difficult questions. In the end, we were better for it. By A.J. 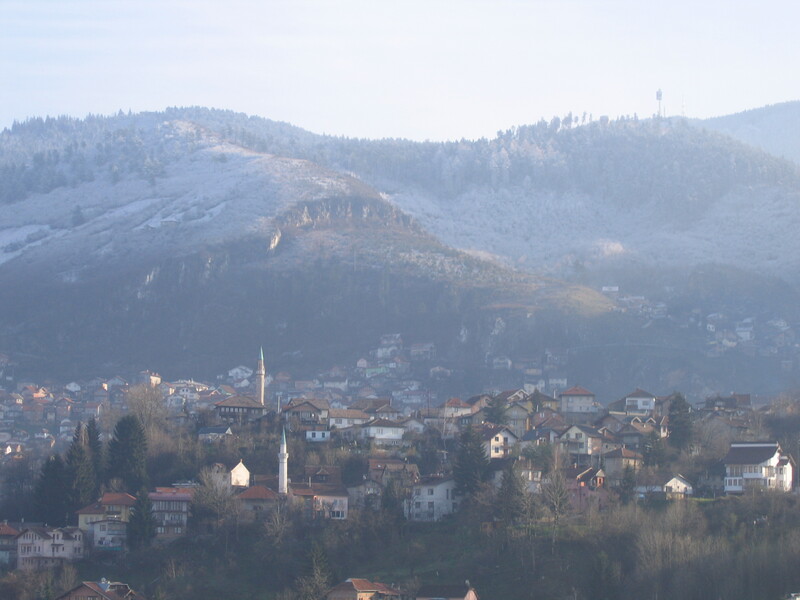 Boyd in Bosnia and Herzegovina, Theology and Ecumenism on December 5, 2010 .